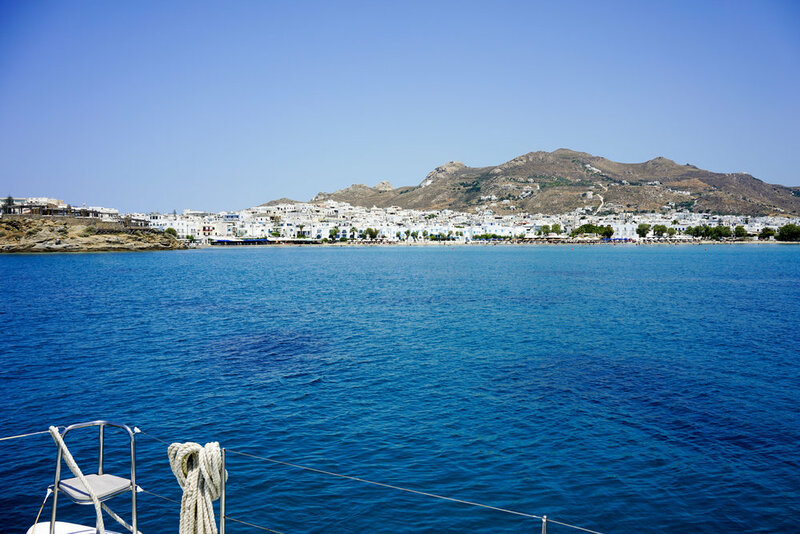 What to Expect When Sailing the Greek Islands — monetsommers. The Greek Islands have topped my list of places to see since I was a young girl. And seeing the Greek Islands by sailing on a yacht was something I only dreamed of. 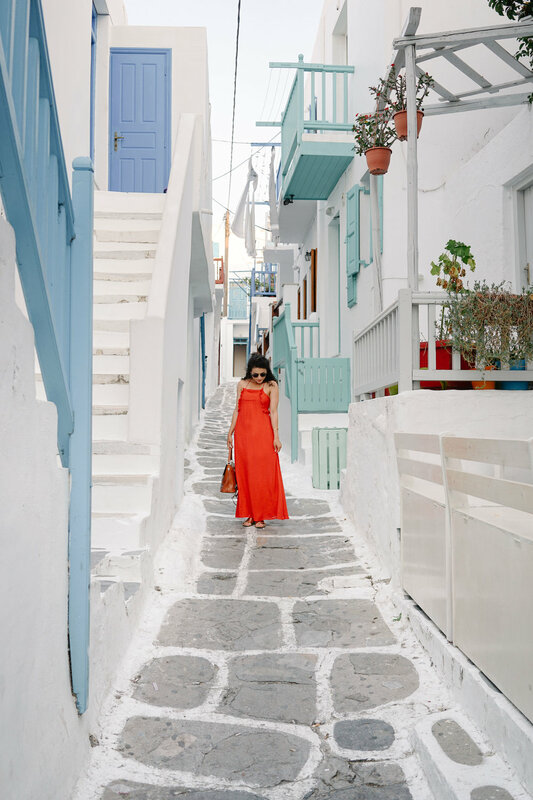 After watching the Sisterhood of the Traveling Pants 2 there was no way I wasn't going to walk up those white steps in Santorini like Lena so gracefully did. Before I even begin this post, I should explain how high my expectations were for this Greece trip. Honestly, I rarely set my expectations high before a big trip, because I don't want to be disappointed. But, I was just so giddy and excited, I couldn't help myself. 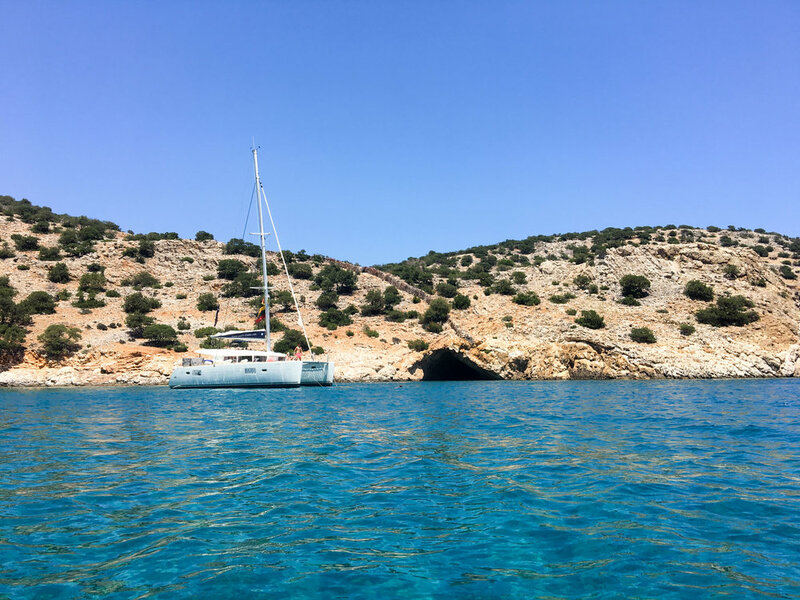 I wanted to share the details of my sailing trip with Yacht Getaways and what to expect when Sailing the Greek Islands. 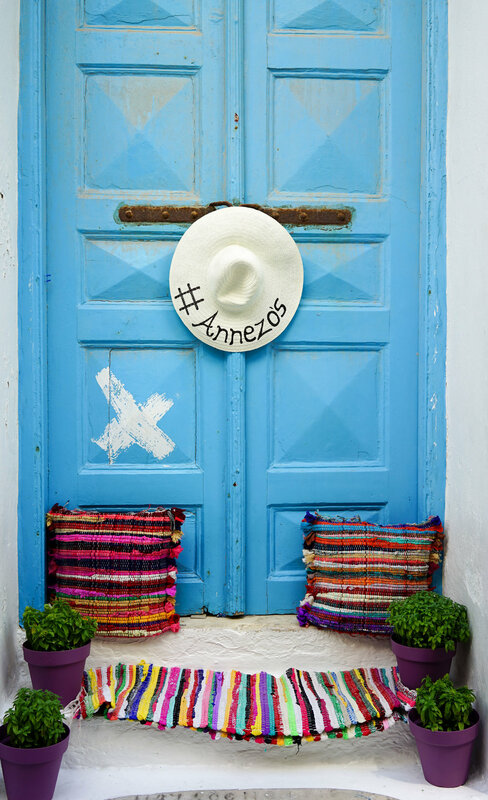 It really was a dream come true to go on this trip and I am thrilled to be sharing the photos and details to our time in Greece! One of my favorite aspects of the trip was that I never felt bored, but I also never felt like I was doing too much in one day. It was such a perfectly balanced week and I left feeling refreshed. Many times traveling can be exhausting trying to see and do so much in a day. However, Yacht Getaways does an incredible job planning out the day so that you have time to relax and see so much of the Greek Islands. Each morning we would wake-up in a new island and have breakfast while our Skipper prepared the yacht for our next adventure. By the time breakfast was finished, we would stop at a secluded island or cave to relax, paddle board, and enjoy the sun. Next, we would eat lunch which was served on the yacht while we headed to a new island. By the time we arrived to an island, we were well fed, had time to relax on the journey over, and prepared to explore our newest destination. I really can't believe how much we saw during our 7 days sailing through the Greek Islands. From ancient, abandoned ruins to modern, lively cities, we saw it all. Each island had its own, unique atmosphere and it was really great being able to get a taste of what each island had to offer. For example, Mykonos was lively, full of tourist, and had a lot of energy. On the other hand, the Little Cyclades were much more calm and relaxing with crystal clear water. By seeing 7 different islands, we now have a better idea of which islands we liked best and which to visit again. Because you know this girl is already planning another visit to this magical place. Each morning I would wake-up, walk to the top of the boat in my pjs with a fresh brewed cup of coffee, and stare out into the ocean listening to the waves. It was one of my favorite parts of the day and so relaxing. I really don't think it gets much better than a cup o' joe on top of a yacht in Greece! Our hostess made a fresh breakfast each day that included an egg scramble, yogurt, granola, and fresh fruit. It was always set-up so beautifully and we could eat at our on leisure. She also did an incredible job of always making sure we had coffee (obviously she became my favorite person on the boat). 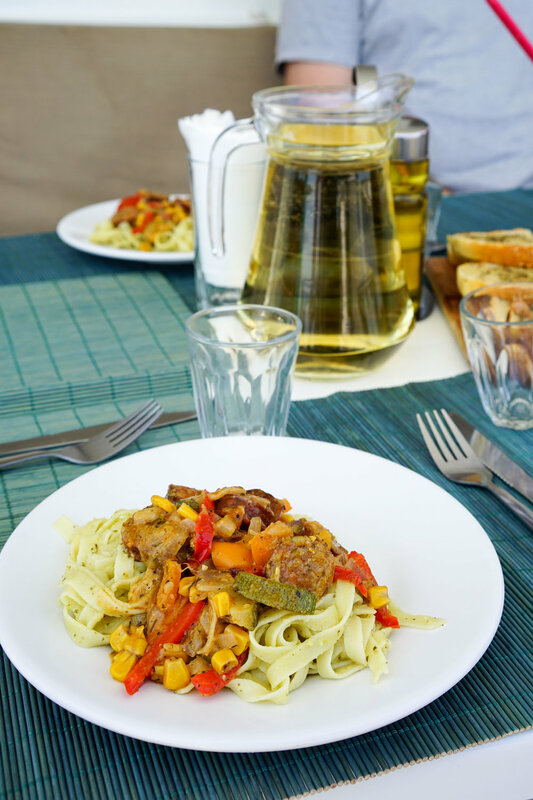 Lunch was different each day and included pasta with homemade sauce, tuna salad, grilled veggies and meats, and a variety of healthy options. Upon arrival, the hostess asked if we had an allergies, and Michael doesn't eat cheese (crazy, I know), so each day she made him a separate plate without dairy. Little details like this make such a huge difference and Michael was very grateful. We were able to see deserted islands and explore a lot more with the canoe, which made our days more interesting and fun. The Skipper is pretty flexible about where to go, so ours did a great job of taking us to see the different caves when we asked. The perks of having your own yacht is the "boat only" access areas. This allowed us to see and do so much more than we would have been able to by foot. All in all, this was definitely one of the most amazing trips I have taken. We felt so thankful for the opportunity to sail with Yacht Getaways in Greece. Luckily, Yacht Getaways operates in Croatia and now Italy, so naturally I am already planning my next escape sailing with them! Thank you, Yacht Getaways & Hippie in Heels for collaborating with me.